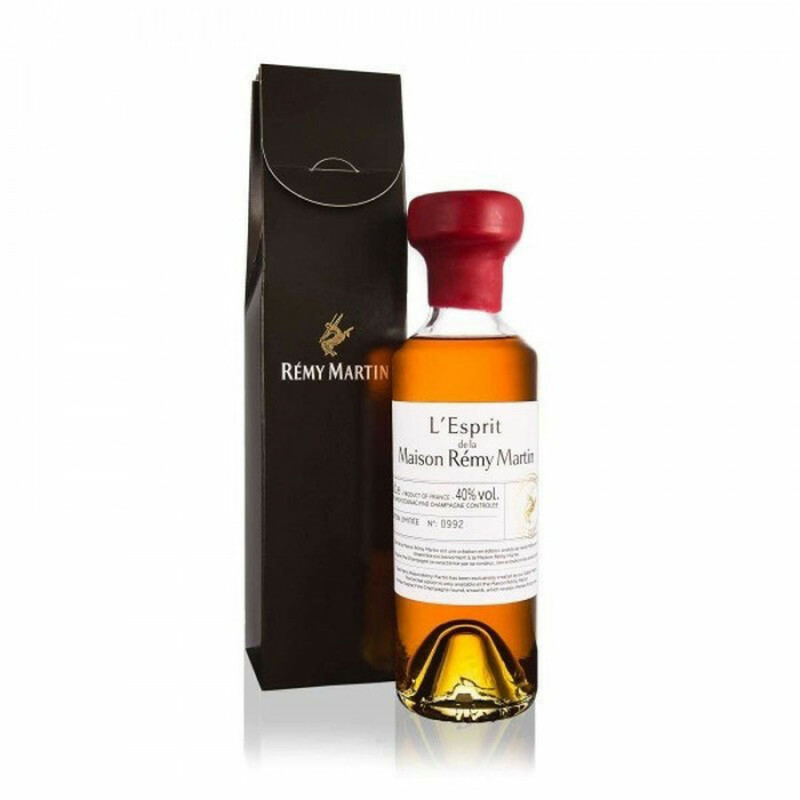 The Remy Martin L'Esprit de la Maison is a delightful special quality Cognac, Fine Champagne blend created by cellar master, Baptiste Loiseau. The youngest ever person to hold this ilustrious position developed this Cognac to illustrate everything the house holds dear in its creations; roundess, velvety, and fruitiness. A Fine Champagne Cognac is one that's made from eaux-de-vie from the two best crus of the region; Grande Champagne and Petite Champagne. This is a small, 20cl bottle of this new delight - and wonderfully presented in a tasting style bottle and presentation box. For anyone who wants the chance to taste one of Loiseau's first solo creations for Remy, or is looking for a gift for a Cognac lover, this would be a wonderful choice.